Waking up well-rested without any aches and pains can mean the difference between having a good and a bad day. To improve the quality of your sleep, it may be time to invest in a better mattress that is designed to ensure a comfortable and healthy slumber. No other mattress can offer the luxurious comfort you may be looking for than a latex pillow top mattress. Unlike your typical natural latex mattress, the latex pillow top mattress has an extra layer of padding that is on top of it, thus the name. 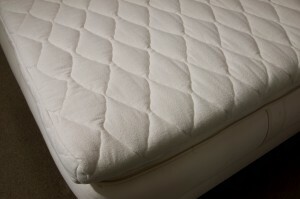 A latex pillow top mattress offers all the benefits that you can get from natural latex or rubber. Some of its known benefits include the dust mite repellent. Hence, there is minimal risk for respiratory problems, allergies, and mold or fungal growth. Latex pillow top mattresses support your body by following its contours. This way, you can prevent backaches and sore spots, and you can sleep more comfortably. They can maintain a neutral temperature, too, so you do not have to worry about waking up because the mattress feels too hot or too cold.